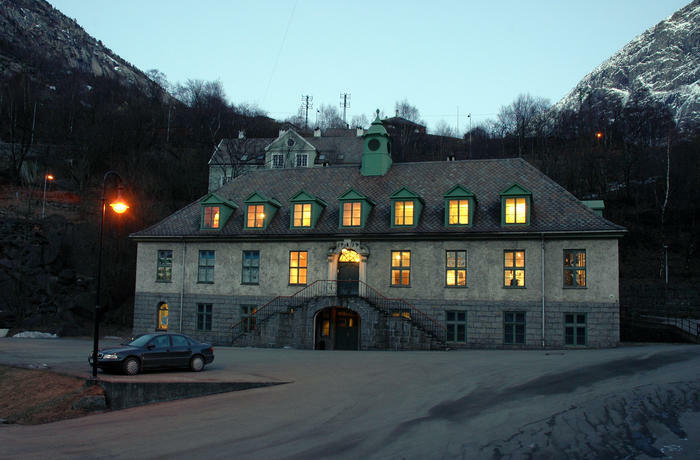 The building was designed by the norwegian architects Morgenstierne and Eide from Oslo and built in 1914. 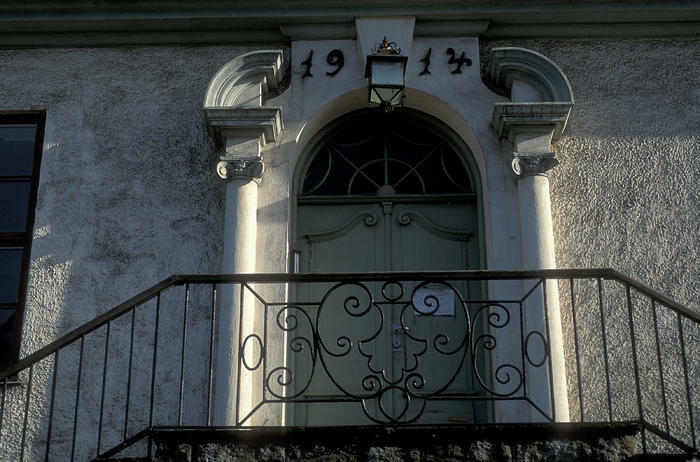 It became something like a town hall for the people in Tyssedal. Here you could find the bank, the post office, police and even a jail. The hydropower company A/S Tyssefaldene also had their offices here. The museum took over the building in 1994 and started an extensive restauration in cooperation with the national preservation authorities. Executive architect was Gro Lavold.